In cases where someone’s passing is approaching, whether that be months, weeks or even days, there are good reasons to plan ahead. It’s hard when someone you love is nearing the end of their life. However, planning ahead can help ease some of the difficulties and make the process a little less stressful. 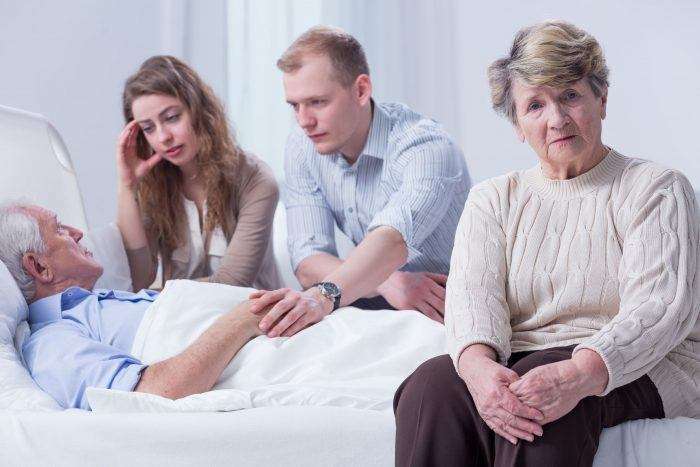 Often, when a person is aware that their death is imminent, they will be more open to discussing arrangements and be more willing to share their desires for their end-of-life services. This can be comforting, even healing to the people who are preparing for the loss of someone they love. While it may not be what you would call an easy conversation, it is a conversation well worth having. Do they want to be cremated or buried? What do they envision when they think about their memorial service or funeral? What music do they want played? Who do they want to speak? What kind of foods do they want served at the after-service meal? Who do they want to write their obituary? What do they think should be in that obituary? Take time to make the best decisions. At first, making end-of-life plans can be overwhelming, even intimidating. All too often, the person will feel like they must make all the decisions at once, and have them carved in stone with no flexibility. That simply is not true and it isn’t advised. The best course of action is to take the time to really consider each aspect of the service and make decisions slowly, mindfully. Throughout the process there should be an understanding that some things may change. The more the person allows the reality to wash over them, the better able they are to make the decisions that are best for them. By maintaining some flexibility over the final arrangements, it is possible to make changes as the need arises. Some people write messages to the people they leave behind, having someone read it at the memorial service or funeral. Others write individual letters to each person in their life. Still others choose songs that have special meanings. The only rules are the ones they set. There is no right or wrong, only what is right for them. 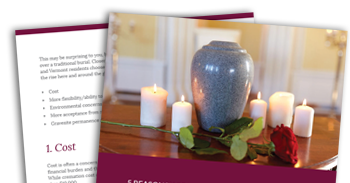 There are several great benefits that can be gleaned from a simple conversation about end-of-life arrangements. Making one’s wishes known decreases the chance of conflict among family members after the person has passed. Without a plan, the decisions are left to the family and many times each person has a different view of what the person “would have wanted.” With emotions already running high, the risk of disagreement grows, which may result in hurt feelings and even rifts between family members. When the final arrangements are planned ahead of time, all of that is eliminated. If the service was pre-planned, the friends and family will not have as many details that they must manage. No amount of preparation is adequate when you lose someone you love, but when they know that the details are already taken care of, it is a huge relief. This allows them to relax and they can take comfort in the fact that their loved one cared enough to make their wishes known. Finally, allowing the person to voice their wishes is empowering. By asking them what they want, you are giving them a bit of control in a situation where they may feel powerless. They can discuss what they want, what they envision for their final service. That is significant.